I’M GOING TO MISS Coun. Tina Lange on council. The City of Kamloops election is less than two months away, and for the first time since 2002, Lange won’t be on the ballot. There are many who disagree with her. Her opposition to the Ajax Mine, and her support of a pesticide bylaw are just two issues that have many happy to see her go. She never backed away from stating her position, no matter the political fallout. She’ll probably be remembered most for the big issues, but for me, it’s the day to day council decisions where she shone the most. This week’s public hearing on cannabis retail stores was classic Lange at her best. With the coming legalization of marijuana, the City of Kamloops, like many local governments, is revising its bylaws. At Tuesday’s public hearing, City of Kamloops council voted to charge a business license of $5,000 per year for any retailer who wants to set up shop in Kamloops. That’s $5,000 compared, for example, to about $300 for a private liquor store. The rationale of staff was that the City wasn’t sure what the revenue sharing for cannabis taxation would be between the province and municipalities. There was also concern for added costs to the City. Only Lange spoke in opposition to the $5,000 licensing fee. She started by noting that the businesses are soon to be legal. She went on to use her years of experience as a small business person to explain the costs of setting up a retail store. 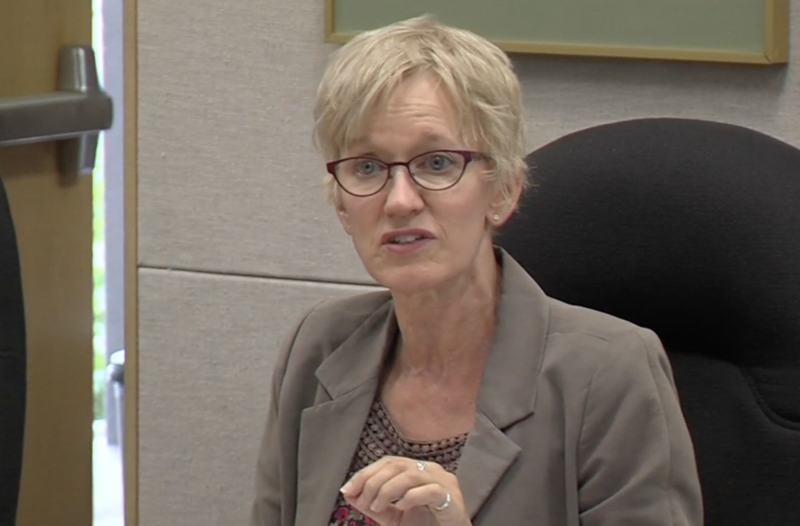 She correctly stated that there was no evidence that there would be significantly increased costs to the City of Kamloops if a retail cannabis store opened. What was best about her argument was that she could itemize the benefits to the City of having 20 or more new stores, with their commercial taxation, wages to staff and business spending. Making the license prohibitive will lower the number of potential stores. Out of all council, Lange was the only one who spoke out in defense of small business. Not one of the other councillors thought the $5,000 business license was prohibitive. Over the 12 years she’s been on council, again and again, she always brought that perspective of small business to the council table. 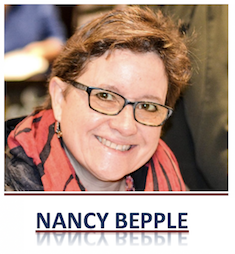 As was the case at Tuesday’s public hearing, over the last 12 years she was often the lone voice speaking for small business people. If charging $5,000 business licence makes sense for a cannabis store, then $5,000 should be charged for a liquor store too. Only Lange, with her hands-on experience running a liquor store, understood that the margins on retail are extremely tight. My dad had a retail business for about 20 years. There were some months when everyone was paid but him. He made it through the early 1980s when things were exceedingly tough, where many, many businesses folded in Kamloops. Lange understands my dad’s experience, and thousands of other who have run businesses. The loss to Kamloops because of the $5,000 business licence might never be known, since what will end up happening is that cannabis retailers businesses will simply not come to Kamloops. Not all, but many. Lange understands small business. There aren’t many on the current council who can match her clear insights of what it takes to make a go of a business, with or without the help of City Council. Best wishes and thanks for a job well done. Tina should be lauded for her position on this question. The others on council apparently do not understand basic business economics. In a new market, early entry businesses have a distinct advantage over late entrants. Especially when the market has limited the number of entrants – in this case due to the City’s zoning by-laws. The $5,000 may well be a barrier to entry for some. With that in mind, Council has decided to back those with deeper pockets. Even if the fee is later reduced, the damage will already have been done. Not very encouraging for emerging entrepreneurs. Something that should also be noted: you failed to mention that Denis Walsh recused himself and therefore was not part of the decision.